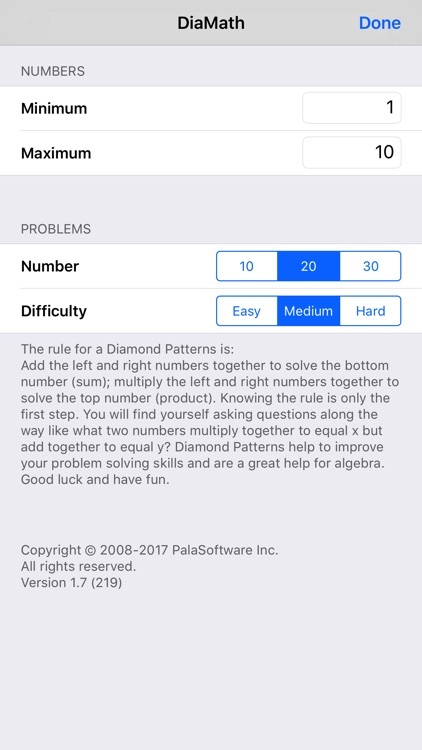 DiaMath (Diamond Math) by PalaSoftware Inc.
DiaMath (Diamond Math) is a fun and challenging way to improve your problem solving skills. 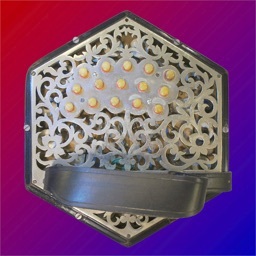 The principle of DiaMath is to solve for the two empty spaces in the diamond. 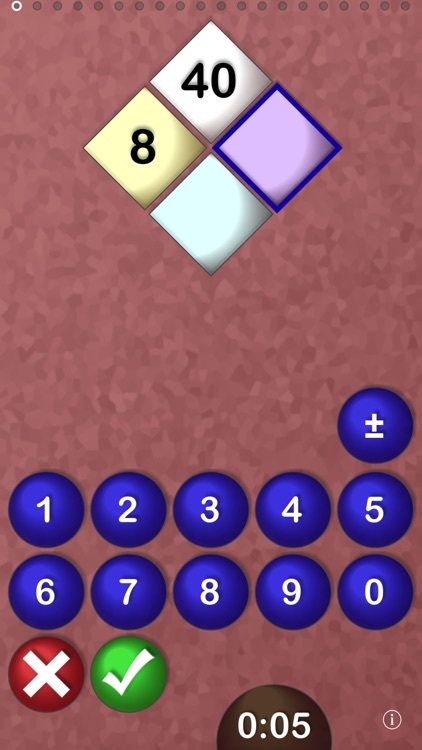 The rule for a diamond patterns is: Add the left and right numbers together to get the bottom number (sum); multiply the left and right numbers together to get the top number (product). Knowing the rule is only the first step. You will find yourself asking questions along the way like what two numbers multiply together to get x but add together to get y? 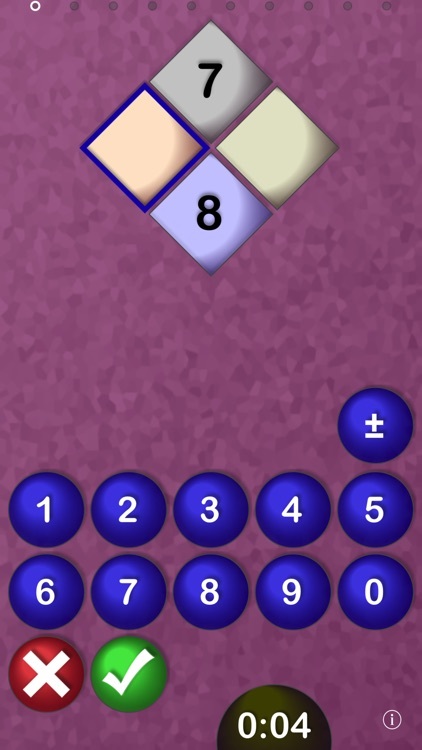 Though the basis of DiaMath is addition and multiplication it will also test your subtraction and division abilities. 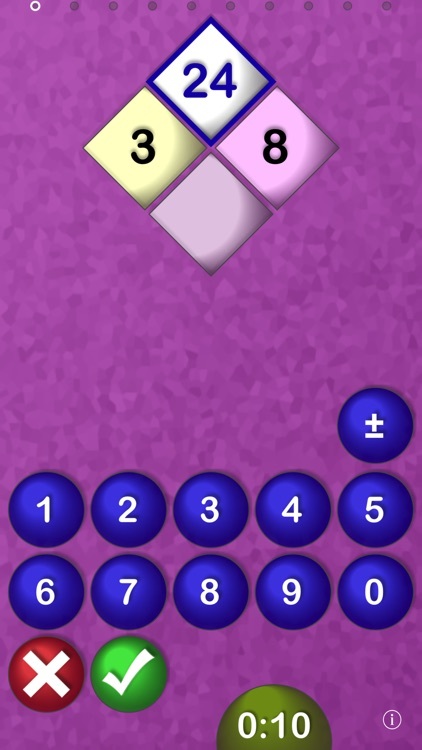 DiaMath is configurable to quiz you with 10, 20 or 30 problems. 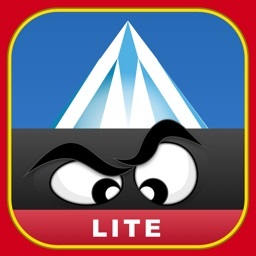 All the problems are generated by the iPhone and randomized so there is a virtual unlimited set of possibilities. 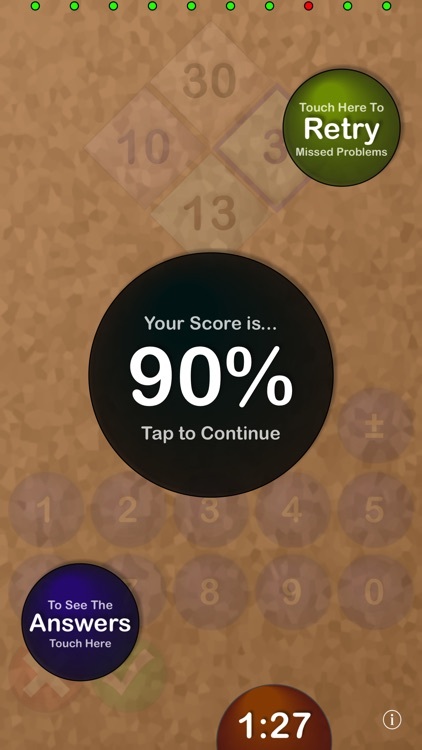 DiaMath provides three different levels of difficulty as well as allowing you to choose a range of numbers from 1 to 99. Additionally, DiaMath has a timer thus allowing you the opportunity to see if you can improve on a previous time, or even challenge a friend to a "quiz-off". 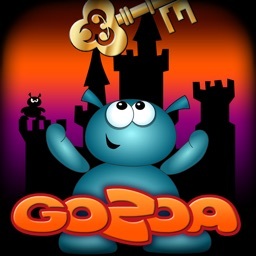 DiaMath will help any student improve their problem solving skills and is a great first step towards learning algebra. For those of us past algebra, it is a great tool to help exercise your brain. 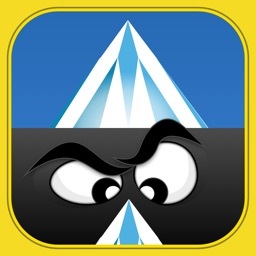 ALGEBRA students… Diamath will help you practice factoring quadratic equations. 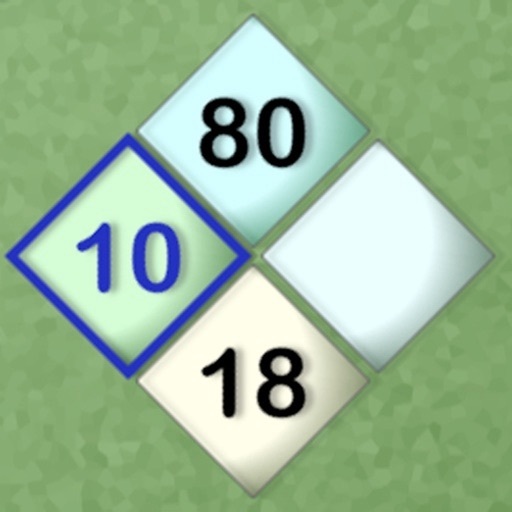 Set difficulty mode set to hard and the thought process you use to find the left and right side of the diamond (when you’re given the top and bottom), is the same one you use to factor. 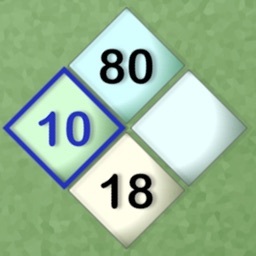 For example, to factor x^2 – 7x – 18, you have to ask yourself: what two numbers multiply to -18 (which would be on the top of the diamond) but add to -7 (the bottom of the diamond)? The answer: -9 and 2. The factored form of x^2 – 7x – 18 is (x – 9)(x + 2). 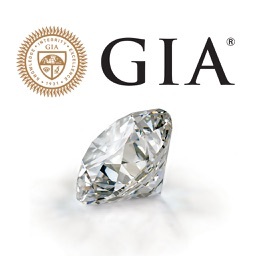 In standard form, ax^2 + bx + c (when a = 1), the c coefficient is on the top of the diamond while the b is on the bottom.